I remember long, hot, late Autumn afternoons, when the lawns have had their last cut, the drying grass filling the air with such a deep herbal sweetness. 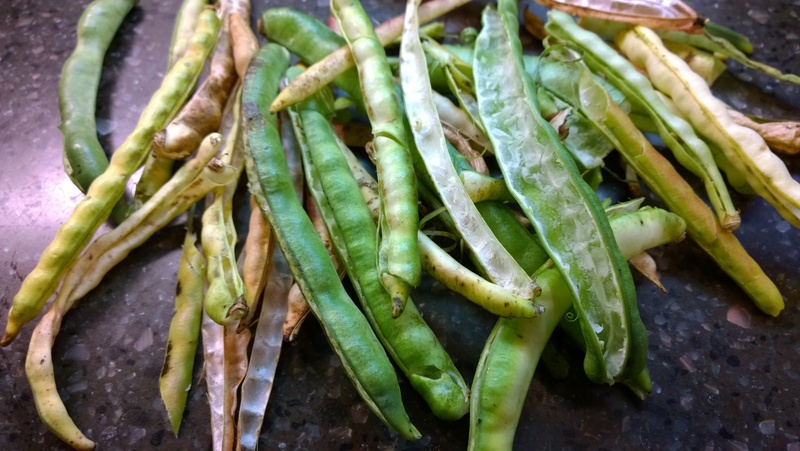 I remember visits to my grandparents, sitting on Evelyn’s screened porch, shelling beans and peas… which is an art. There’s a considerable difference between fresh beans and shellies. While a fresh bean can be wickered apart by snapping or with some quick thumb work with a pairing knife, shellies have to be… well, shelled. The long tough side strings have to be removed, a deft thumb employed to separate the casing, then re-positioning said thumb to push through the drying gauntlet; freeing the more than slightly matured beans as you go. For Evelyn and my great grandmother, it was second nature. They’d talk and gossip, all the while casings flying apart and shelled beans dropped efficiently into a pot in their lap. Either the strings wouldn’t release, or the casings cracked and broke, or I’d thumb beans with BB gun precision across the room to smack someone right between the eyes….. I usually got relegated to corn shucking duty. This test on the microwave pressure cooker I decided to see how it would do on shellies and dried beans (coming later in the post.) Shellies are an odd bean to cook because you’ll have fresh, mature, semi dried, and rock hard seeds all needing to be cooked at the same time. If you cook them until the mature beans are done – the rest of the pot is mush. 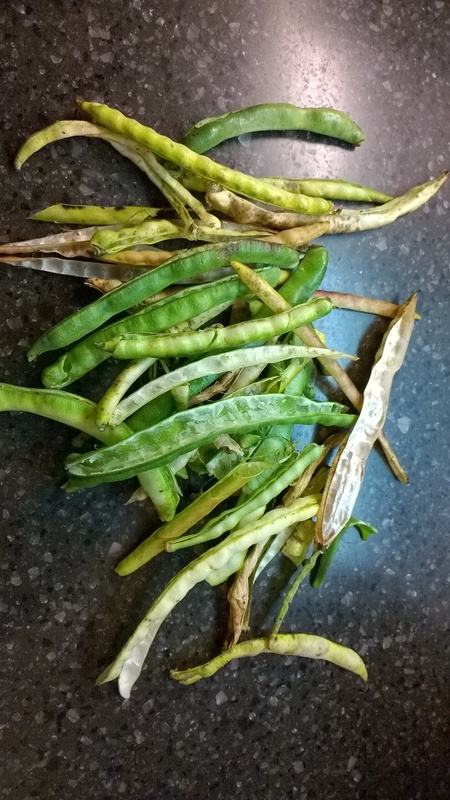 If you gauge it by the fresh beans, then the mature and dry beans remain inedible. Regardless of which timing you choose, the shortest amount of time the peas will cook is about 35 minutes. Enter the Microwave Pressure Cooker. You already know I kinda have this odd love affair going on with the piece of equipment. I really shouldn’t like it… but I do. It works like it is supposed to. And in my book – for a gadget-y quirky kitchen utensil, that’s unheard of. 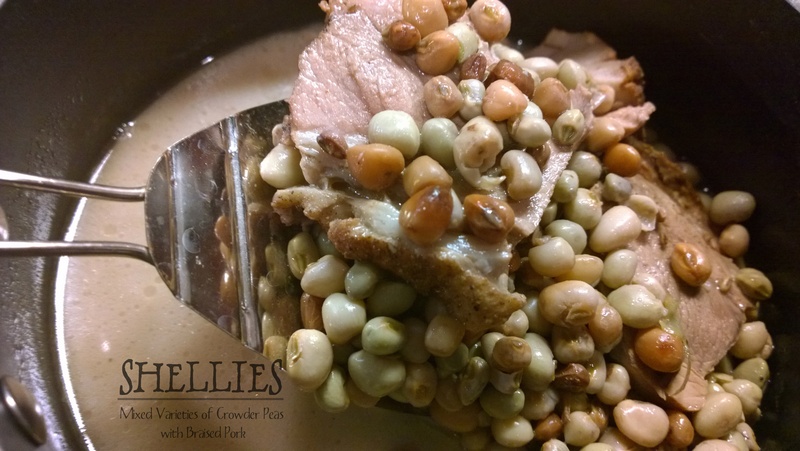 2 – 3/4″ Slabs of Precooked pork roast… it’s what I had. A Ham Hock or a big thick slab of Pork Jowl Bacon would both work equally well. 6 Minutes in a sauce pan to reduce the liquid by 1/2. All total, 19 minutes – or more than 1/2 the time of conventional stove top cooking. All beans were completely cooked at the 10 minutes. The fresh beans mostly held on to their integrity. The mature and dried beans were cooked through and tender. There was still about 2 cups of liquid left in the pot, but like I said – another 6 minutes on the stove top fixed that. The next attempt was to test the micro pressure cooker’s ability to cook Dried Beans quicker than a regular pressure cooker – or conventional dutch oven methods. 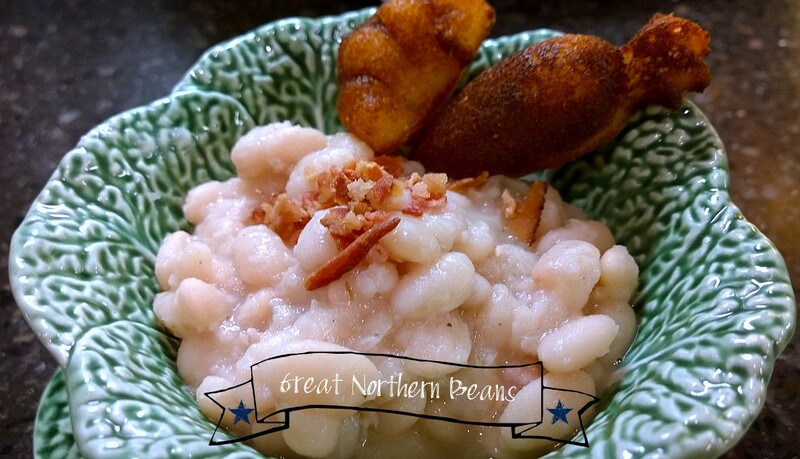 Since Jane and I have both been craving “soup beans” (I don’t know why we call them that… we just do), this test is with Great Northern White Beans. Typical slow cook method for dried beans is about 45 minutes on the stove top, and about 30 minutes in a conventional pressure cooker. The goal was to do better than conventional methods. 1 Teaspoon Dried Epazote (another of the wonderful herby Christmas Gifts from my sis) – Here’s the thing with epazote. Epazote imparts a woodsy, smoky, sage-ish herbal flavor to whatever you’re cooking. 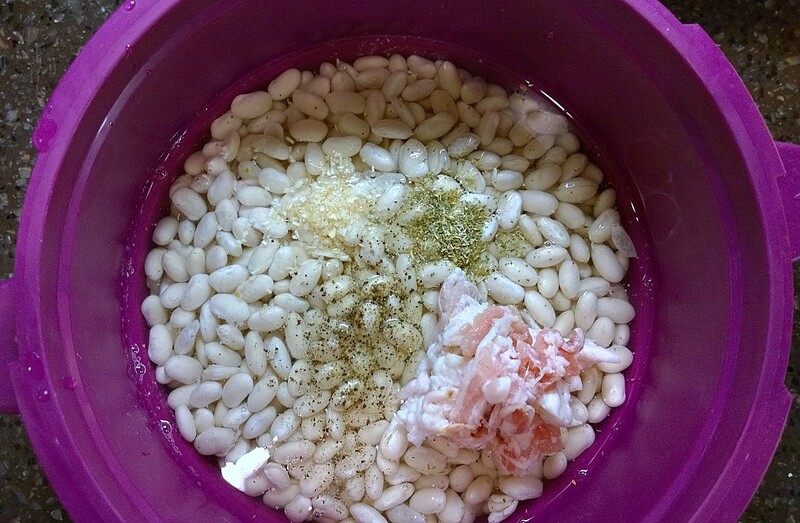 Additionally, it removes all those nasty …umm… gassy aspects of dried beans. It’s used throughout Mexico – where they know a thing or two about dried beans… and gas. Fair warning, a little goes a long way, so use it judicially. Actual cooking time 19 minutes. 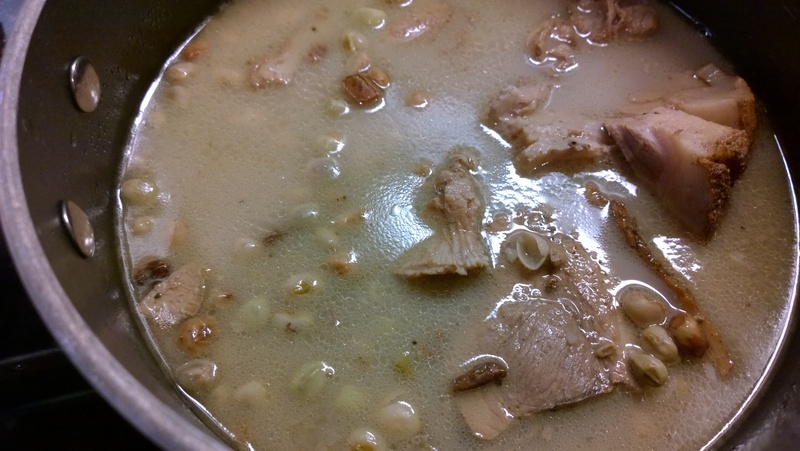 Although the broth was still fairly liquid after the cook, it did thicken up considerably as it cooled and additional liquids absorbed into the beans. They were consistently tender, smooth and creamy. Even if the time was excessively better than conventional means, the fact that I didn’t have to worry with them at all the entire cook time made it a huge bonus. So, all in all – another win – win – win for the quirky, plastic, pressure cooker made for your microwave.